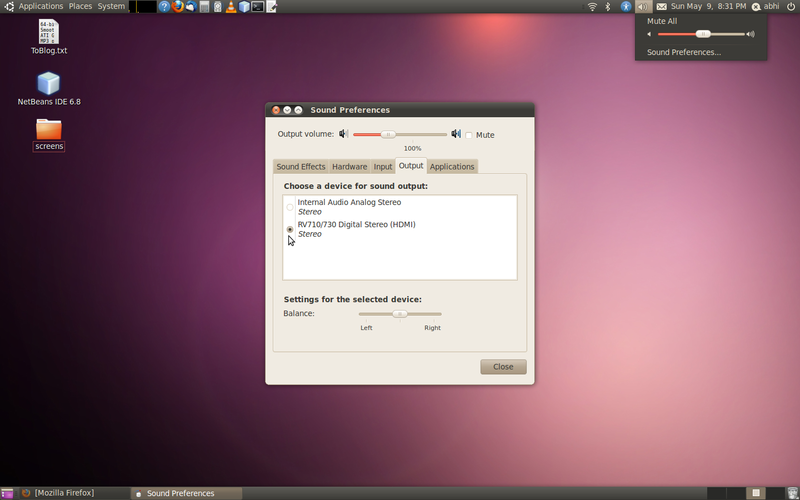 The thing I love the most in Ubuntu 10.04 is the support for HDMI Audio. I like to plug my laptop (Dell Studio 1555) to my TV using HDMI cable when I need to watch a movie. Earlier when I had openSUSE 11.1, the display worked fine but the audio would still come out of my laptop speakers instead of the TV ones. This was quite a pain as I couldn’t sit back with my TV remote control and had to walk up to my laptop to increase/decrease the volume every now and then. However this was the case only with the Linux distros as HDMI audio worked fine with Windows Vista. 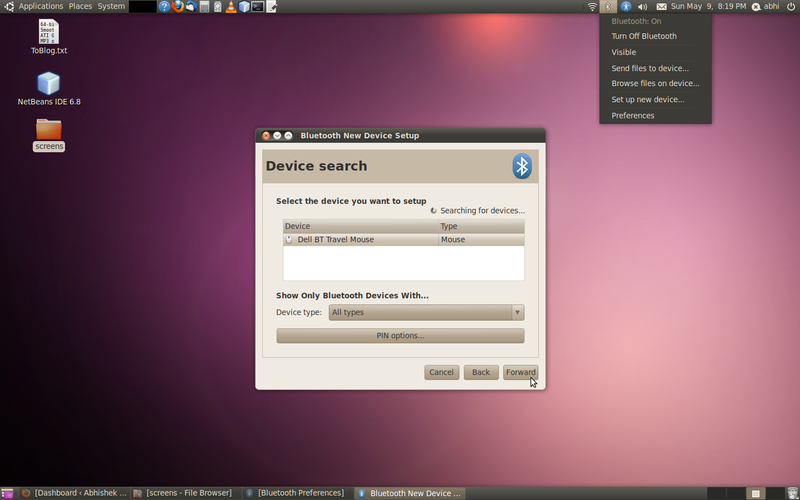 The good news is that with Ubuntu 10.04, HDMI Audio works perfect. All you need to do is just select “HDMI Stereo” as the Output option in the Sound Preferences dialog as shown below. I’ve setup a Bluetooth mouse and now I can sit back and use the mouse as a remote control. 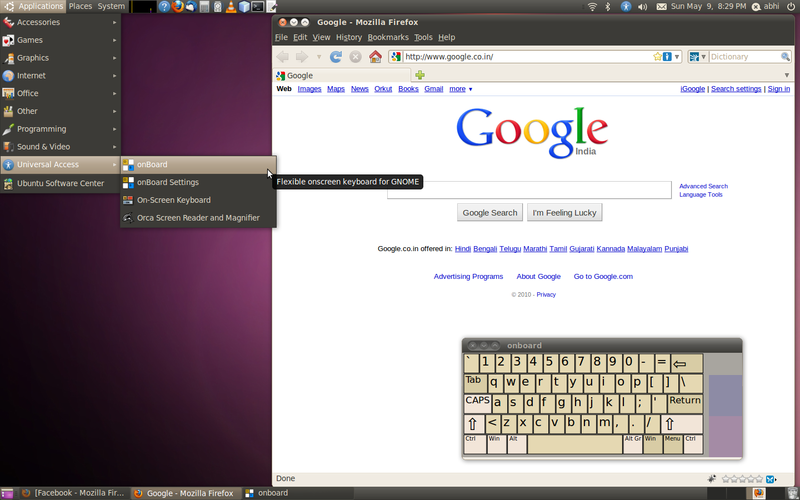 I’ve also installed a virtual keyboard “onBoard” to key in whatever text I need to run a command from the terminal.